Kinte Umbrella Co.,Ltd founded in 1998. 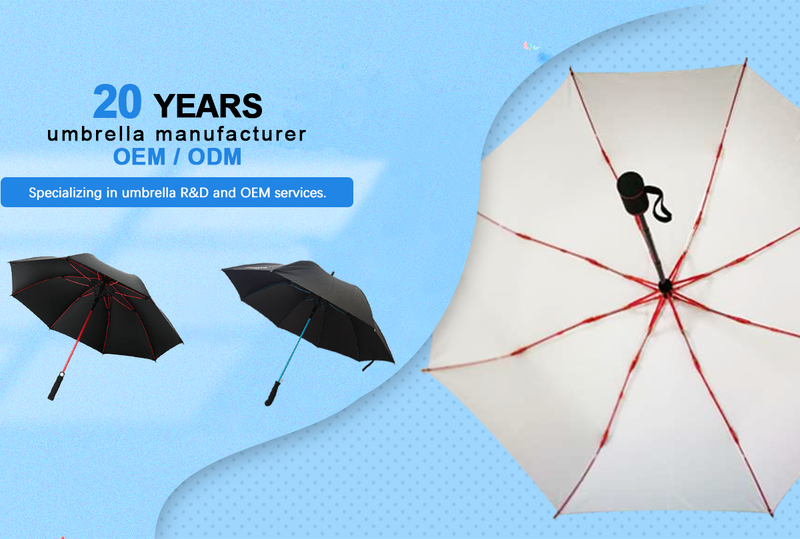 Specialized in umbrella R&D and OEM services for 20 years. Our factory covers area of 3000 square meter. There are more than 50 employees and more than 10 automatic produce line. We can produce 200000 pcs umbrellas per month and we accept small MOQ order. Our company has passed BSCI, SGS Audit. We have CE, Reach, ROHS certification etc.Our Brand Sunny Kinte sale to 56 countries and our cooperation partners has MGM,NICKENT, AUDI, BENZ, MAXFLY ect. We have professional QC team to do 100% full inspection to ensure quality perfect.